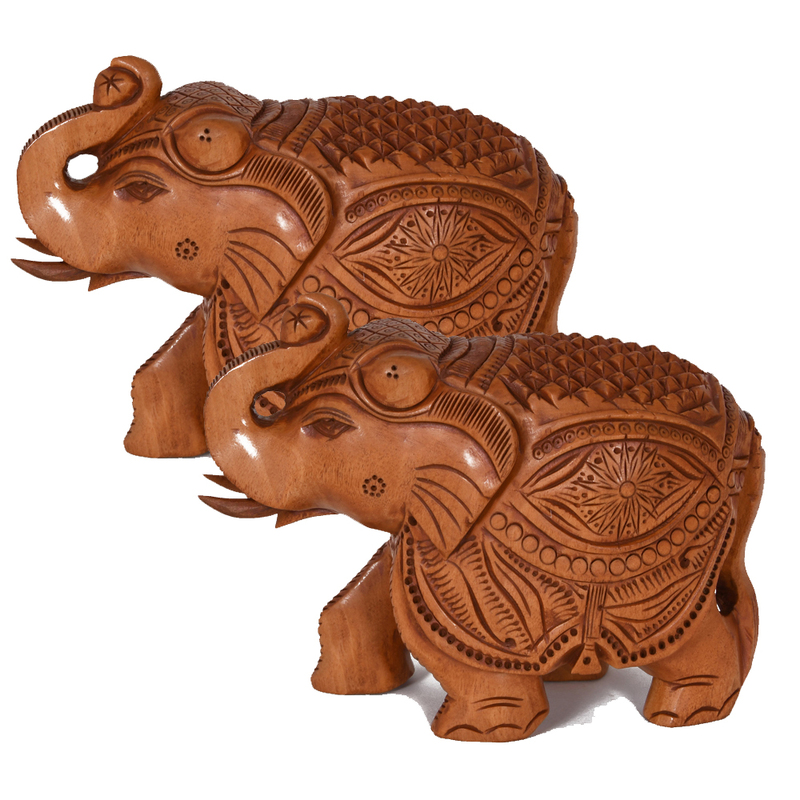 The pair of elephants are carved completely out of wood. 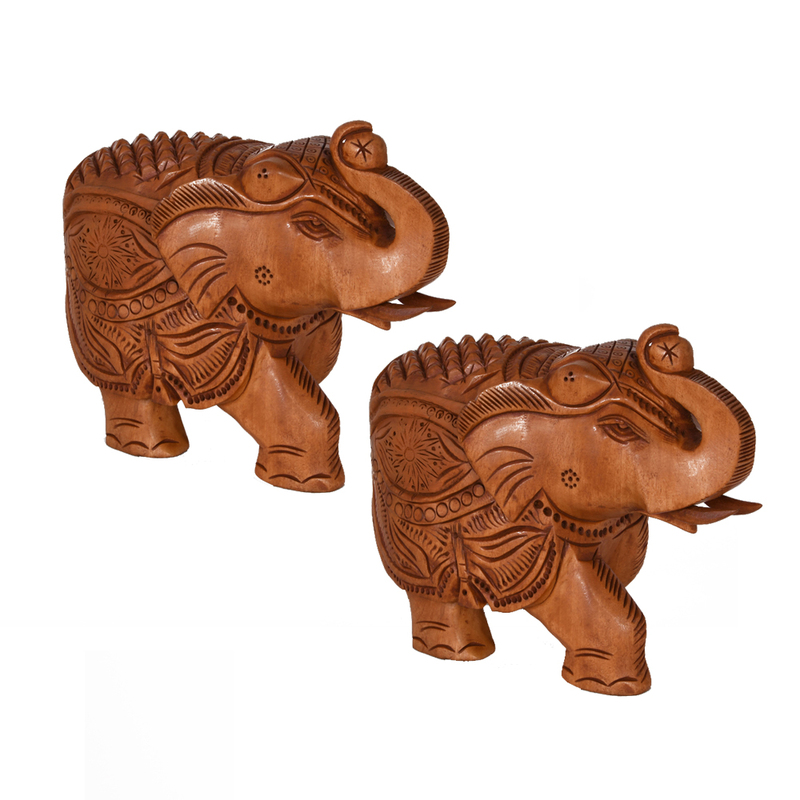 The engravings on the back are striking, and makes the showpieces look even better. Other Read More..than these engravings, the rest of the details are kept minimalistic, which keeps a balance between the outgoing and the subtle. The trunks of the elephants are pointed up-wards. 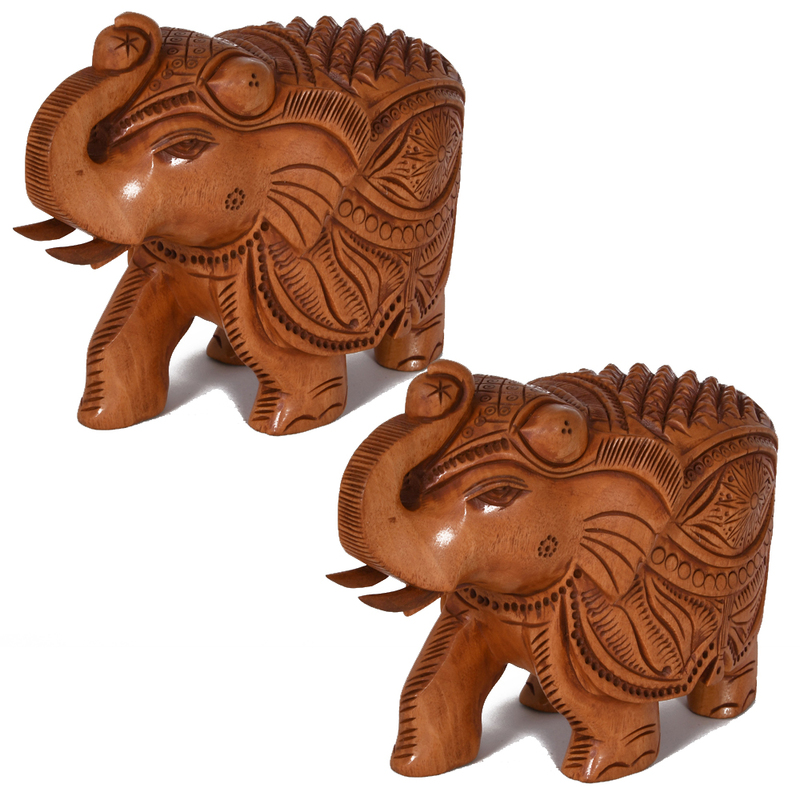 The pair of these elephants are mostly bought as showpieces, and are very popular as gift items. These are also great decorating options for people who just moved into a new house. The brown polishing makes it look even better. Show Less..